When your tumble dryer stops working like it should, we want you to sit back and relax knowing experts from Team Knowhow, at Currys PC World, are on hand to fix the problem. There are no hidden costs – we only ask for a one off fee which includes the visit to your home, labour charges and any parts we need to replace. If for some reason we cannot repair the problem, or we find that your tumble dryer or condenser is beyond economical repair*, we will give you a full refund. Our fully trained repair experts are available to fix your appliance 6 days a week around most of Ireland. On the day they are due to visit, they will ring 30 minutes in advance so you know when to expect them. All our repairs come with a 12 month guarantee but for added protection we also offer an Expert Repair which also covers your dryer for 12 months, but against other faults including general breakdown. 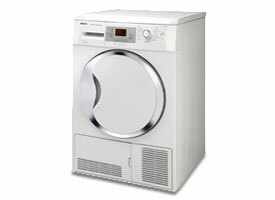 Are you having tumble dryer problems? All repairs subject to assessment. *We determine that a device is beyond economical repair if the cost of the parts to fix the fault are greater than €150.